Books Books Video reading of Some Secrets Should Never Be Kept Video reading of No Means No! Video reading of No Means No! Books and resources to empower children and help keep them safe! The following titles are available for translation rights agreements except as noted. This beautifully illustrated children’s picture book sensitively broaches the subject of safe and unsafe touch. This book will assist carers and educators to broach this subject with children in a non-threatening and age-appropriate way. Reader’s notes and discussion questions included. A story about an empowered little girl with a strong voice on all issues, especially those relating to her body! A book to teach children about personal boundaries, respect and consent; empowering children by respecting their choices and their right to say, ‘No!’ Reader’s notes and discussion questions included. A children’s picture book to empower and teach children about personal body safety, feelings, safe and unsafe touch, private parts, secrets and surprises, consent and respect. This book provides everything a child needs to know to help keep them safe from inappropriate touch. Reader’s notes and discussion questions included. This beautifully illustrated children’s book raises awareness around gender equality, respectful relationships, feelings, choice, self-esteem, tolerance and acceptance. In order to reduce gender-based violence, we need to teach children gender equality and respectful relationships from the earliest years. Reader’s notes and discussion questions included. Pearl and her diverse crew of twenty-four women sail the seven seas in search of adventure. All is well until Captain McCross sails into their lives and demands to take over Pearl’s ship! Through an engaging narrative, this beautifully illustrated children’s book explores gender equality, respect, empowerment, diversity, leadership, recognizing bullying behaviors and the prevention of violence. Reader’s notes and discussion questions included. An essential step-by-step guide for parents, carers and educators on how to protect children from sexual abuse. This guide contains simple, practical and age-appropriate ideas and activities, as well as important information for adults on grooming, signs of abuse and disclosure responses. One of the most important social skills a child can learn is empathy. Being able to understand how another person is feeling and recognizing their needs helps people to connect to one another across race, culture and the diversity that is ever-present and so important to our world. This charming story uses verse, beautiful illustrations and a little person called Quinn to model the meaning of empathy. Throughout the story, Quinn shows an abundance of understanding, compassion and kindness towards others. Showing empathy towards others is a learnt trait, and one to nurture and cherish with the children in our care. Also included are Discussion Questions for parents, caregivers and educators, and suggested activities to promote empathy and kindness. 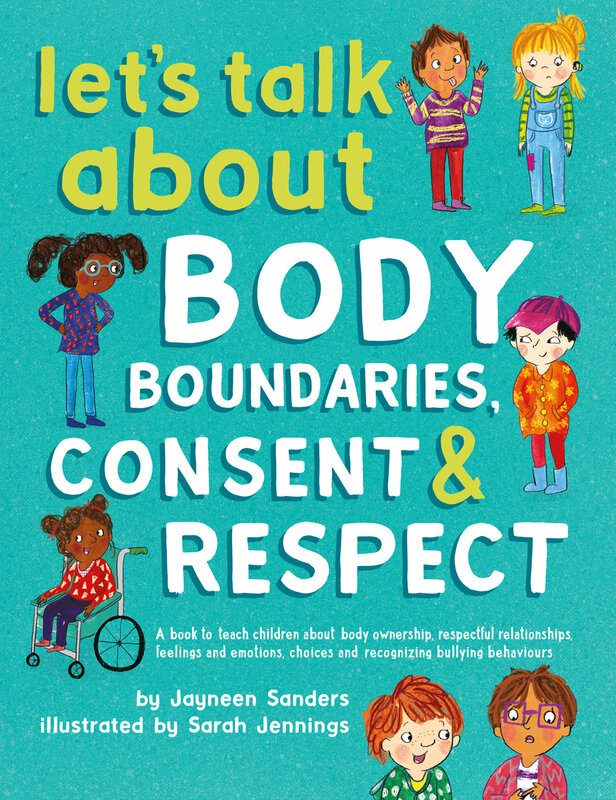 This book explores consent and respect with children especially in relation to body boundaries, both theirs and others. A child growing up knowing they have a right to their own personal space, gives that child ownership and choices as to what happens to them. These concepts are presented in a child-friendly and easily-understood manner. Also included are Discussion Questions for parents, caregivers and educators. How Big Are Your Worries Little Bear? Little Bear is a worrier. He worries about everything! But with Mama Bear’s help, he soon learns his worries are not so big after all. Through this engaging and beautifully illustrated story, children will learn that everyday worries and fears can be overcome. It just takes a willingness to share with a helpful listener, and an understanding that making mistakes is how we learn. Also included are Discussion Questions for parents, caregivers and educators, and extra hints to help children manage anxiety. Who Am I? I am me! Frankie loves what Frankie loves! The choice is always Frankie’s. Allowing your child to do the things they love and simply be themselves is one of the greatest gifts you can provide. Through Frankie’s active and fun encounters, readers soon learn that in Frankie’s world there are no gendered roles — kids are just kids! This book encourages children to understand and manage their changing feelings and emotions, and to talk confidently about how they are feeling. Providing children with the skills and the words to express their feelings is key to helping them move forward in a positive manner. Talking About Feelings is the perfect book for parents, caregivers, educators and health professionals to help children unpack challenging emotions in an interactive and engaging way. Meet Emmi! She is resilient, independent and courageous. She always tries her best, and even when the going gets tough, Emmi never gives in. This charming story uses verse and beautiful illustrations to model resilience, persistence, and the ability to face challenges with tenacity. Children who are resilient are brave, curious, confident and problem solvers. Nurturing these traits in our children will go a long way in helping them face the many challenges they will encounter throughout their lives. Also included are Discussion Questions for parents, caregivers and educators, and suggested activities to promote children’s resilience.